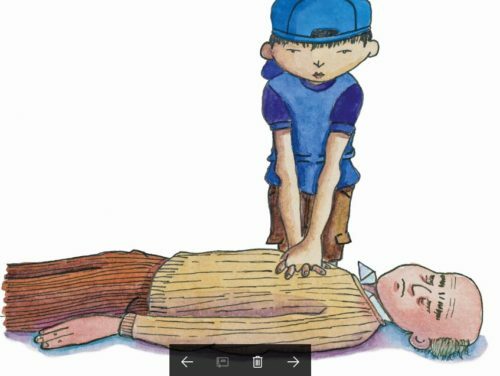 MINI MEDICS FIRST AID & DEFIBRILLATION FOR CHILDREN BETWEEN THE AGES OF 8 AND 11, BUT IT CAN SUIT CHILDREN OF ANY AGE. 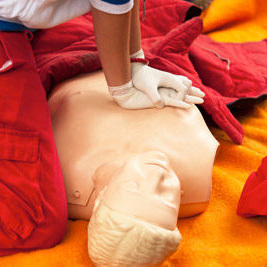 THE COURSE WILL SHOW COMPLETE RESPECT FOR THE CHILD’S ABILITY, MAKING IT EDUCATIONAL AND PRACTICAL, AND INSTIL THE IMPORTANCE OF HELPING SOMEONE WHO IS POORLY OR INJURED. Each Child will receive an Exciting student pack for them to take away with them. The course runs 09.00 – 3.30 so please bring lunch, refreshments will be provided. Course Duration 3 hours dependent on the syllabus you want covered including educational, theoretical and practical teaching sessions. And the opportunity to purchase t-shirts and hoodies. The Mini Medics First Aid & Defibrillation for Children is non-regulated qualification and attendance is all that is required. 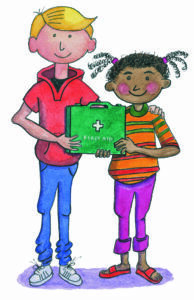 A certificate of attendance is included with the Mini Medic book as a ‘cut-out’ for the child. In addition to running the Mini Medics Club during the school holidays we can also come to you! 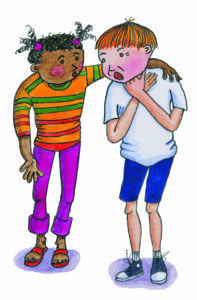 If you can get together a group of children through family and friends we can deliver the course direct to you. Less hassle and with a familiar group of children. 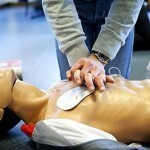 We either require 16 Mini Medic students or we charge a flat fee for running the course at your venue.